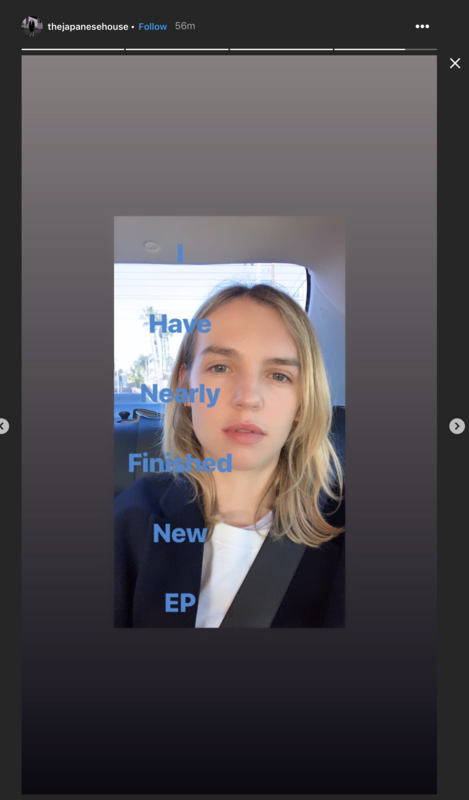 The Japanese House have announced via Instagram that she’s almost finished with a new EP. The new album came out last week and it gets my full recommendation. It’s damn good. The Japanese House have announced some new tour dates. The Japanese House has released the new song, “Follow My Girl” on Spotify and Apple Music. The new album, Good at Falling, will be out on March 1st and pre-orders are now up. The Japanese House have released the new song “3/3” to digital retailers. The new EP from The Japanese House is now up for pre-order. The Japanese House has released the new song “Somebody You Found” on Spotify and Apple Music. The Japanese House’s new song “Saw You in a Dream” is up on Spotify and Apple Music. The Japanese House will be debuting the new single “Saw You in a Dream” tomorrow on Beats 1. The Japanese House has announced some 2017 tour dates. You can find those below. The Japanese House have released “Good Side In” on Spotify and Apple Music. The Japanese House has unveiled “Swim Against the Tide,” the title track to her forthcoming EP available November 11th, on Spotify and Apple Music. The Japanese House has released her new single “Face Like Thunder” on Spotify and Apple Music. The song comes from the upcoming EP, Swim Against the Tide, due out on November 11th.